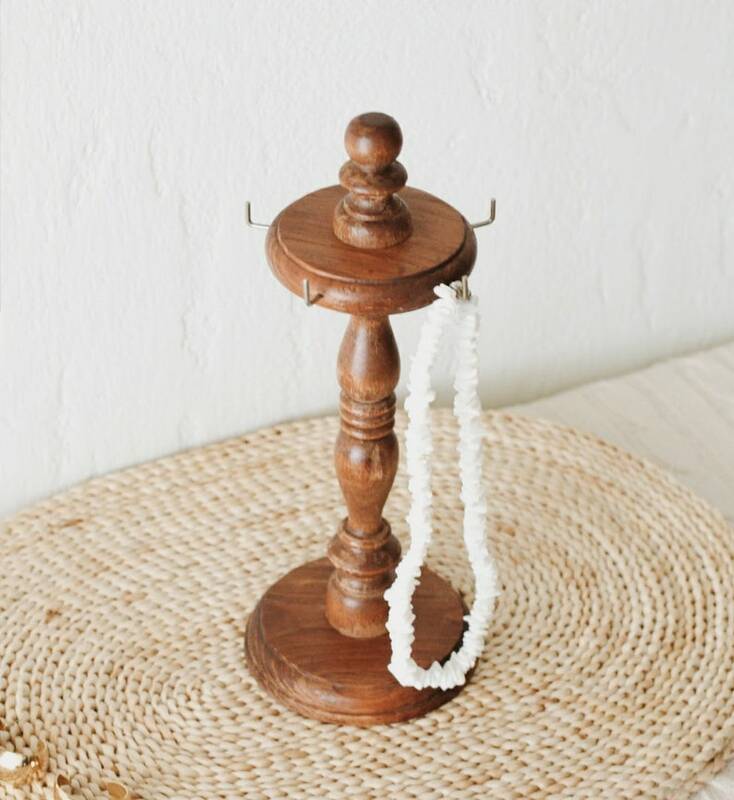 Vintage wooden jewelry stand with metal hooks. Great vintage condition. Normal wear.